Artist Sabina Forbes uses a combination of color, dynamic pattern and texture in her paintings to evoke this hope. Las Vegas and Washington, DC. I was inspired to collaborate with the Bahamas International Film Festival (BIFF) because I passionately believe in the power of the arts to help open people's minds to other perspectives while also energizing the mind, body and spirit. As BIFF aims to create opportunities for Bahamian youth to work in the visual arts, I was immediately drawn to the mission of this impactful gathering. Throughout my art, I gravitate towards the female form because women have long represented a sense of strength and perseverance coupled with compassion and grace. 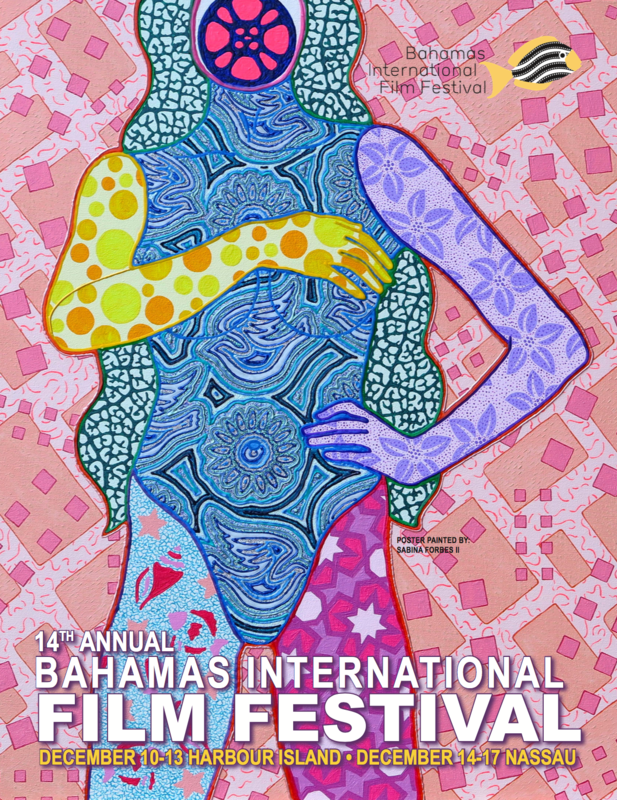 This abstract figure draws inspiration from both the mission of the BIFF, the spirit of The Bahamas and the films BIFF showcases. In honor of the Festival, the painting's backdrop features deconstructed film strips while the head includes a film reel to connote the life narratives which are etched into each of our faces. Taking cue from the natural beauty of the Bahamas, the figure's hair celebrates the country's iconic coral reefs while the left leg represents the stunning aquatic life the country boasts. The right arm showcases an abstraction of the petals from the rich flowers which bloom on the country's national tree, the "Lignum Vitae," or the "Tree of Life," which is known for its restorative powers and the durability of its wood which mirrors the strength of Bahamian people. I chose to feature a dove within the figure's torso to signify the peace we all seek, while using vibrant colors, such as the yellow hues of the Bahamian sunshine, not only to bring to life the country's stunning landscape but to also highlight the creative energy the Festival attracts. I further incorporated bold, energetic patterns throughout the work to signify the country's dynamic people and beautiful culture, as well as the global breadth of the BIFF's entrants. 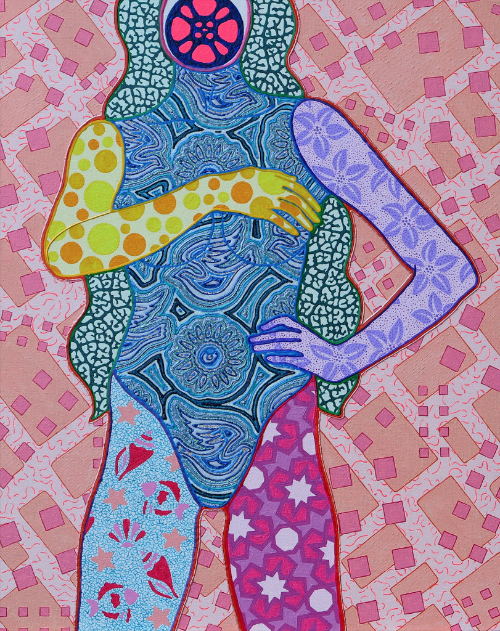 24'' w x 30'' h Mixed Media on Canvas "Woman, BIFF"
" Collaborating with Sabina was like working with an expressionist guru. The poster has such a demonstrative style, which transcends boundaries. The bold colors and style of Forbes' painting exhibits what to expect at the 14th Annual BIFF this December 10 - 17. This year’s festival will have a strong sense of the female perspective as we continue to celebrate and showcase the world of cinema. BIFF aspires to give the talented artists that create our posters as much freedom as possible to design something truly inspiring. I hope the audience will admire Forbes' artistry as much as we do." 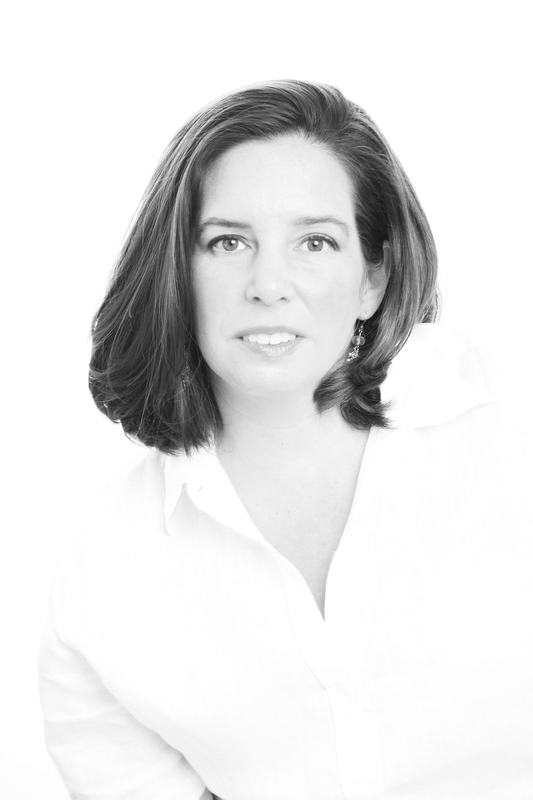 said BIFF founder & executive director Leslie Vanderpool. Vanderpool would also like to thank graphic artists Kam Cheng.